Nick Buckles survived the Olympics debacle. But amongst mounting pressure from investors after poor financials, he will finally leave G4S later this month. The finest mullet in the FTSE100 is no more. Nick Buckles (for it is he) came under fire for G4S’s botched handling of its Olympic Games contract last year. Buckles admitted the contract had turned into ‘a humiliating shambles’ when he was hauled before MPs last summer to explain his company’s actions, but he rejected any calls to resign. Today he walks the plank, and will be replaced by G4S's chief financial officer Ashley Almanza. The announcement came just two weeks before the company’s AGM, when shareholders were expected to lambast him over G4S’s financial performance over the last year. The firm lost £70m as a result of the botched London 2012 contract, which helped push total pre-tax profits for 2012 down 32% to £175m. About £50m of the write-down was a compensation settlement to the government after the company failed to provide all of the 10,400 security staff that it promised for London 2012, forcing the government to turn to the military to provide extra staff. In the fallout after the Olympics debacle, COO David Taylor-Smith and MD Ian Horseman Sewell stepped down from the security firm. However, Buckles managed to hold on to his hat despite massive public and political pressure for the firm to let his head roll. G4S is the largest employer on the London Stock Exchange with more than 620,000 staff worldwide. Nick Buckles, who was paid a total of £1.2 million in 2012, led the merger of Securicor and the security businesses of Group 4 Falck in 2004 to form G4S. G4S’s share price slipped almost 3% after the announcement this morning. 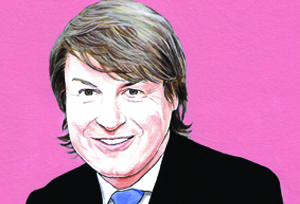 Read MT's interview with Nick Buckles here.